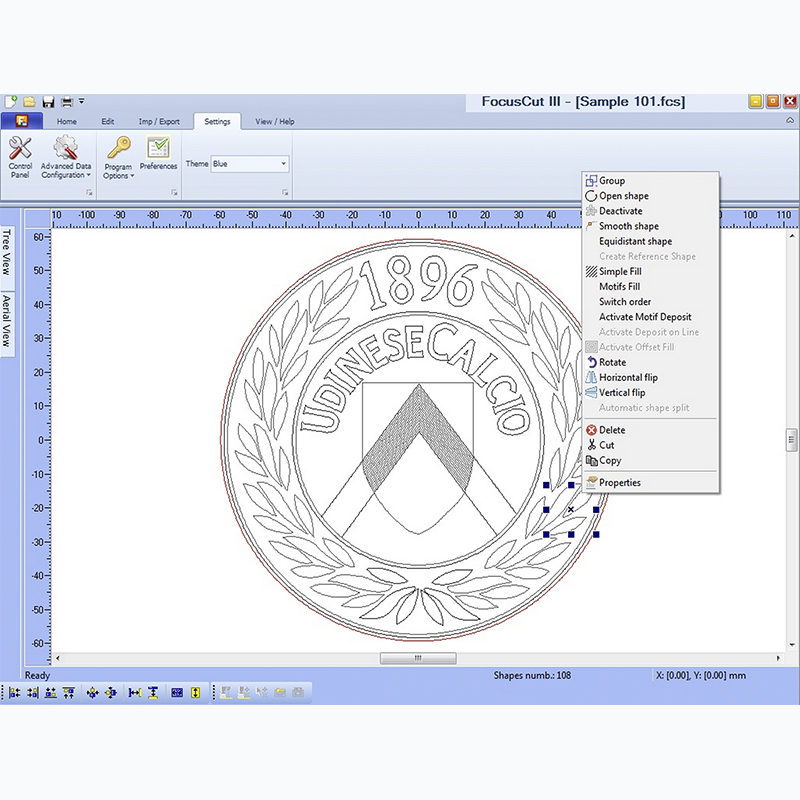 FocusCut III is a vector-based graphic software designed specifically for creating geometric figures. 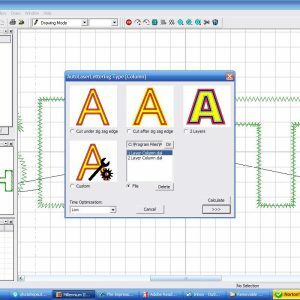 Use it to create texts, shapes, ornaments, boring-work, label and application edgings and artistic works requiring the cutting and engraving of different types of materials. 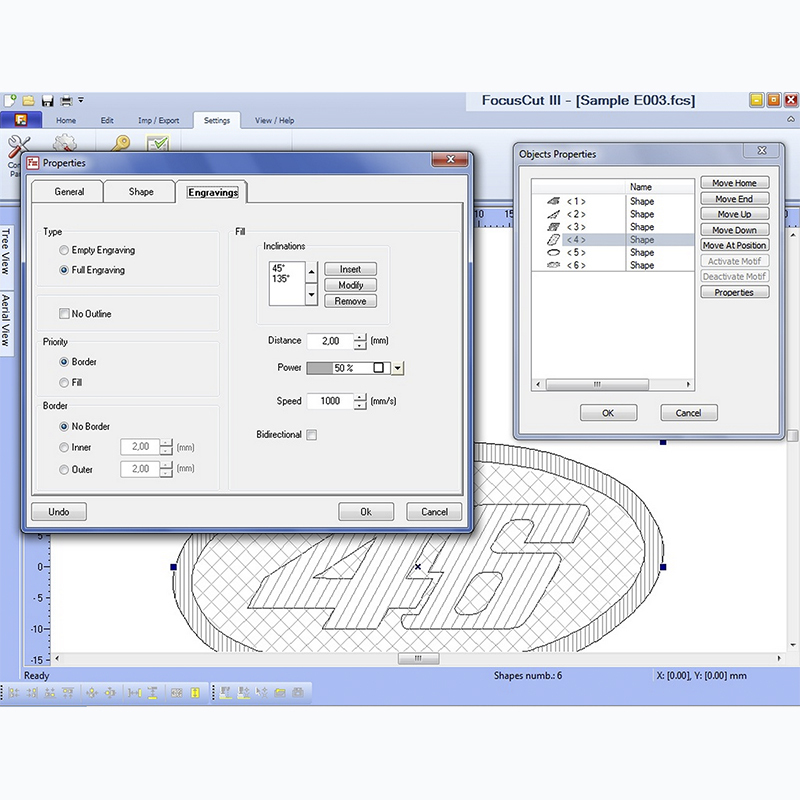 FocusCut III allows the user to create desired artwork (*.fcs format) and then transmit it to any of Proel’s Laser Cutting Machines (Plotter, Plotter Galvanometric, LaserBridge systems etc…). If you purchased a model with a video camera, you may automate the cutting and engraving process by using Proel’s VideoCut software (a separate software program that can be integrated with FocusCut III) to perform the task of automatically recognizing the shapes or labels to be cut on the material being used. FocusCut III works in conjunction with Proel Millennium III to allow the user to convert embroidery digitized designs into vector files for laser cutting and vice versa. Within Millennium III, a button automatically opens FocusCut III and will convert the selected design for laser cutting. 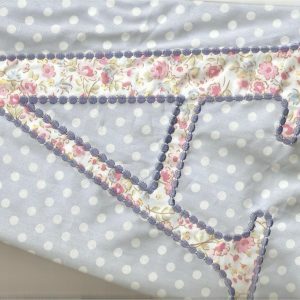 This high degree of integration makes it fast and easy to create designs that are embroidered and then cut. 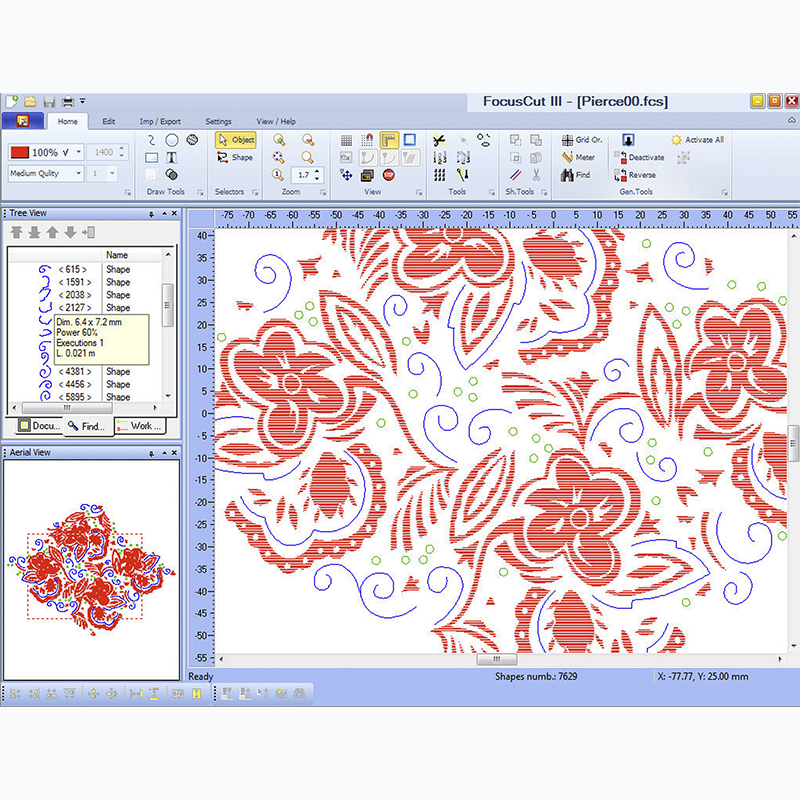 FocusCut III also works with any embroidery digitizing software that generates DST data. 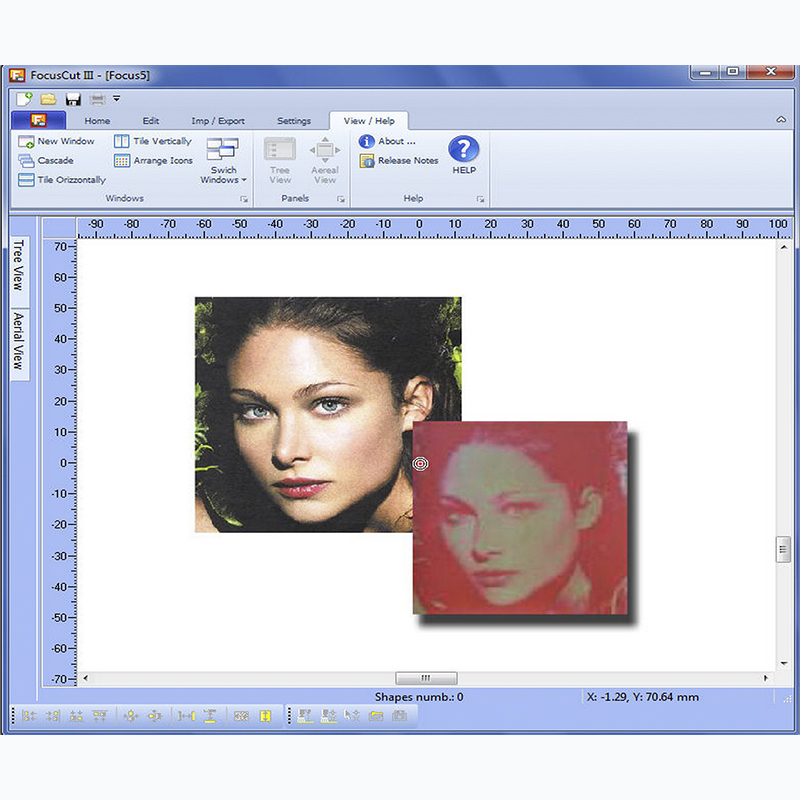 So no matter which digitizing program you use, it can be converted into laser-ready format.